Stunningly organic production and superb musicianship. Just in case you're unfamiliar with the double barrelled name, anyone who knows the modern blues scene will realise that the Tedeschi in the title is singer Susan Tedeschi, and Trucks is the Allman Brothers Band co-lead guitarist Derek Trucks, and the Florida-based husband and wife team have both put their solo careers on hiatus so they could spend some more time together and still tour the world. 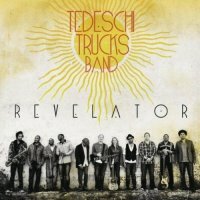 Now, in no way do I regard myself as an aficionado of this mixture of rootsy American R & B and Soul, but all I know is that the eleven piece Tedeschi Trucks Band (two drummers, a horn section etc.) have made an album of songs that I really like. With Susan's beautiful Bonnie Raitt-style vocals and Derek's subtle and emotive slide guitar playing, it's amazing that this match made in heaven took so long to do something more permanent than occasionally guesting on each other's albums. 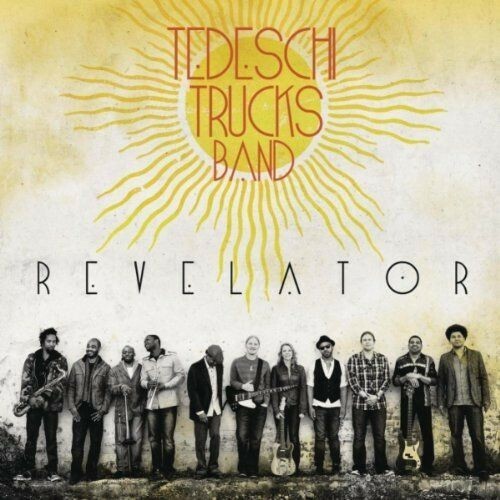 A lot of recent blues music seems to be about endless jamming on traditional old songs, but here the newly written song is king with the emphasis on simple structures, great vocal lines and with nice support play from Trucks without the guitar ever running away with the song. 'Revelator' is mostly mid-paced and laid-back, but with tunes that seem to flow out of the musicians so naturally, you can't really go wrong with the infectious 'Come See About Me', 'Don't Let Me Slide' or 'Ball And Chain'. However, occasionally with this album it's a case of the gentler, the better, as 'Midnight In Harlem', 'Until You Remember', 'Shelter' and the brilliant 'These Walls' (complete with Indian string instruments) have dreamy layers that just draw you into the song. With the stunningly organic production and superb musicianship, even more mainstream blues workouts like 'Learn How To Love' and the funky 'Love Has Something Else To Say' have such great arrangements and natural warmth that they never succumb to cliché. The early signs are that 'Revelator' has been more successful than any of their solo records, which is great because this is exactly what I want to hear this pair doing.